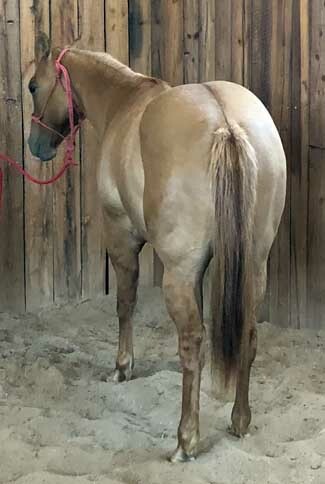 Good looking red dun gelding, with a big hip that moves well and is easy on the eye. He has a big hip and is ready to start the way you want. He is a half-brother to Klay Waters good gray gelding, Banjo. 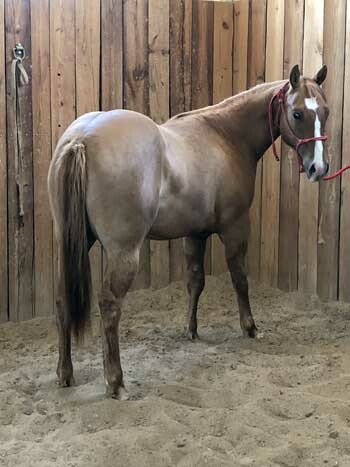 AQHA Ranching Heritage and 2019 HPRBA Futurity Eligible. Halter broke, gentle and sound.